The Department of Cardiology, Internal Medicine and Preventive Diagnostics at the Preventicum Diagnostic Clinic specializes in high quality diagnostics and treatment of a wide range of cardiovascular diseases and diseases of the internal organs. It is headed by Prof. Dr. med. Dietrich Baumgart. Using modern medical technologies and deep expertise, the specialists of the clinic create a comprehensive picture of the patient's health status, determine the risks that can lead to cardiological and internal diseases. Then they develop a tailored interdisciplinary treatment concept for each patient. The treatment of patients is carried out in accordance with the latest diagnostic and therapeutic standards. The doctors of the department mostly have to deal with such common diseases as coronary artery disease, angina pectoris, high blood pressure, atrial fibrillation, arrhythmia, valve diseases, heart failure, atherosclerosis and aortic diseases, sleep apnea syndrome, shortness of breath, dizziness, unclear chest pain and occlusive arterial disease ("window-shopping legs", "smoker's leg"), abdominal pain and digestive problems, metabolic disorders, e.g., high blood sugar and cholesterol levels. Prof. Dr. med. 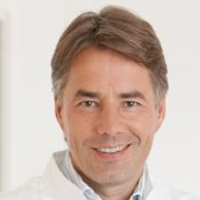 Dietrich Baumgart is an internationally recognized therapist and cardiologist. Previously, he headed the Cardiac Catheterization Laboratory at the University Hospital Essen. Prof. Baumgart is the author of numerous specialized publications and specialized books. Also, he is an active reviewer. He is a member of the European Society of Cardiology and the Scientific Advisory Board (IPO) the International Organization for Preventive Examination. He speaks at numerous national and international congresses and symposiums, conducts special lectures on cardiology and preventive medicine. Department of Cardiology, Internal Medicine and Preventive Diagnostics.